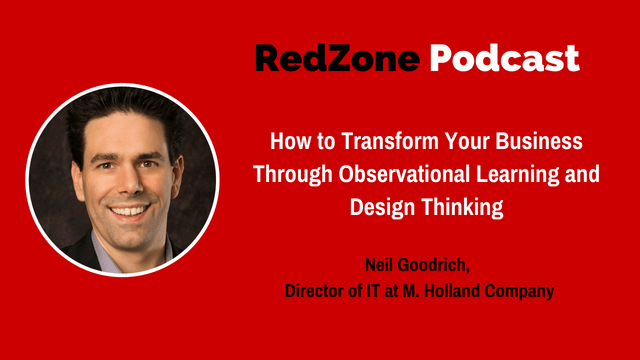 My guest this week is Neil Goodrich, Director of IT at M. Holland Company. With a background in accounting, project management, and investigation, Neil’s IT work has recently been focused on building technology teams around cultures of creativity. Neil has created some amazing ways to do it through storytelling and developing empathy within the business. I also love his practical approach to finding pain points of the end user by doing ride alongs with the sales team members. I think you will enjoy some practical ideas that Neil and I discuss in this interview. As you develop your own vision of innovation and transformation within your organization, this could be one of the puzzle pieces that you will find very useful! 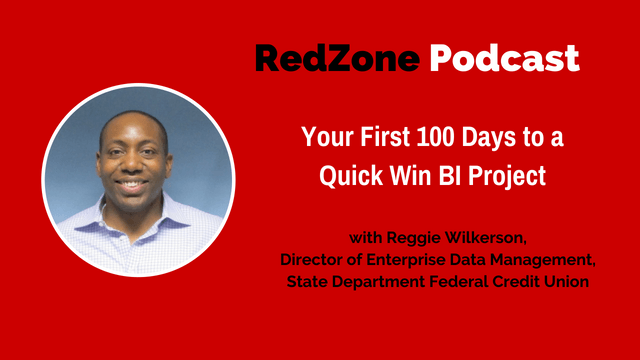 This entry was posted in Blog, podcast and tagged Bill Murphy, CIO, CISO, creativity, design thinking, innovation, IT Security, management, observational learning, RedZone, Redzone Podcast, RedZone Technologies, security, solutions, Tech Experts, transformation on August 31, 2018 by Bill Murphy. This episode is sponsored by the CIO Innovation Insider Council. 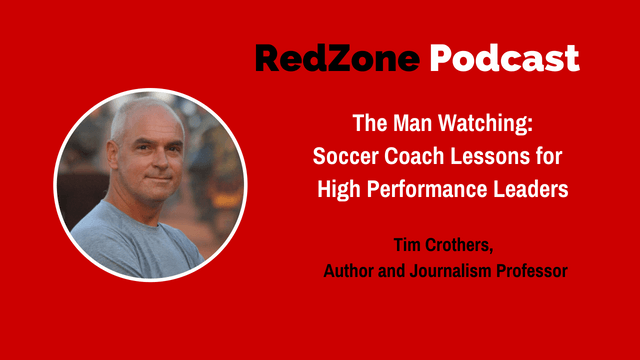 My guest this week is Tim Crothers, a journalism professor and a freelance sportswriter. He has written three books on leadership from a coaching perspective. I became interested in his book The Man Watching after my interview with Tom Chaby when he mentioned his favorite book Top Dog by Ashley Merryman. I loved that book, and in it there are several pages dedicated to Tim Crothers and his work on the dynasty of women’s soccer created by the coach Anson Dorrance at the University of North Carolina. This entry was posted in Blog, podcast and tagged Bill Murphy, CIO, CISO, competition, creativity, defense, human performance, leadership, offense, queen of katwe, Redzone Podcast, RedZone Technologies, the man watching, tim crothers, top dog on August 24, 2018 by Bill Murphy. 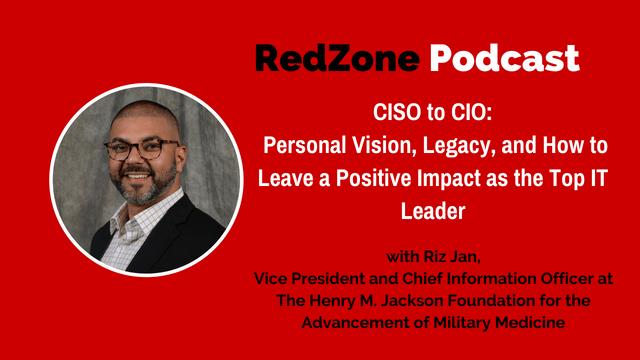 My guest this week is Riz Jan, the Vice President, Chief Information Officer at The Henry M. Jackson Foundation (HJF) For the Advancement of Military Medicine. Riz is a dynamic technology and security executive leading an extensive strategic digital transformation to simplify and modernize the technology architecture within HJF. 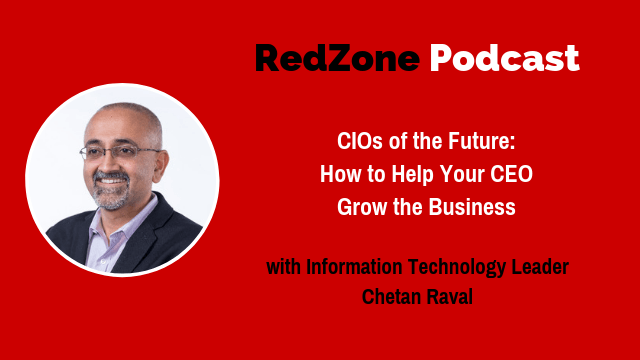 In this interview, Riz and I focus on what it takes to be a great IT leader and the crucial investments you need to make in yourself. This entry was posted in Blog, podcast and tagged Bill Murphy, CIO, CIO Scoreboard, CISO, creativity, information, innovation, IT, IT Security, IT Talent, leadership, management, Redzone Podcast, RedZone Technologies, Tech Experts, technology, visualization on August 13, 2018 by Bill Murphy.